November 17, 2011 – a note about the World Cup, the Olympics, and global competition. | What I got rid of today. ← November 11, 2011 – the TEDxPhoenix RID. I’ve recently been working on an Olympics project for one of my clients. It made me think about a couple of World Cups, so I decided to give this t-shirt away today. It’s from Aruba – where I was when the Dutch team was surging through the last tournament. It reminded me of a visit I had years ago to Paris – on the day when France won the tournament. So…as I RID this t-shirt today, I’m reminded of the central truth – that these events are for the fans. They help us bond, celebrate, and sometimes (the Miami Dolphins fan in me must admit) express sorrow. 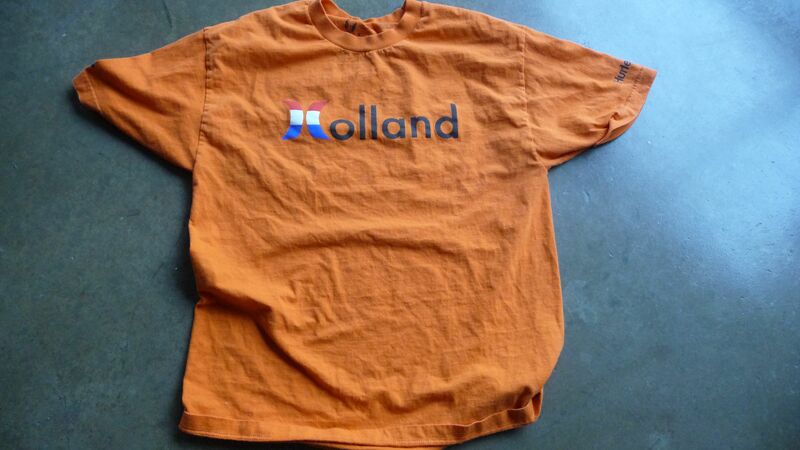 So, today I RID this shirt in hopes it finds a true Dutch fan.